Visit Us For Your Bowling Needs Today! You love bowling. And when you're in the market for a new bowling ball or other bowling accessories, you don't want to shop online. You need to be able to try before you buy. So stop by Doug Heim's National Bowling Store in Buffalo, NY today! When you want to up your bowling game, there is only one place you should have in mind, Doug Heim's National Bowling Store. We proudly serve a huge region around the Buffalo, NY area. When it comes to bowling, we know what it takes to make a difference in your performance. We will make sure you have the right bowling gear to give yourself the best opportunity for success. Remember, when you are in the area looking for the biggest bowling pro shop, stop in at the Doug Heim's National Bowling Store! 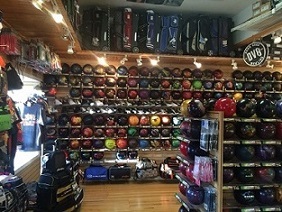 We are your one-stop shop for name brand bowling equipment. We have new balls, bags, shoes and accessories. Featuring Brunswick, Radical, Storm, Rotogrip, Hammer, DV8, Motiv, Columbia, 900 Global, Track, Ebonite, AMF, Lane #1 bowling balls. We fit and drill balls while you wait. Speedy turnaround time on all service work. We are fully stocked year round and have over 500 reconditioned balls of excellent quality and price to fit everyone's budget. Go To Reconditioned Bowling Ball to see our entire selection. We also feature a selection of current high performance bowling equipment from KR Strike Force, Brunswick, Track, Ebonite, Dexter shoes and a wide variety of accessories. We're open year 'round, serving Western New York, Southern Ontario, Northwestern Pennsylvania, Greater Atlanta, and our USBC customers nationwide. When you're in Buffalo, the Niagara Falls region, Atlanta, or USBC Tournament stop in and see us for all of your bowling needs. You'll be amazed at the bowling ball selection at our bowling pro shop. We have something for all levels of skill and interest, from top-of-the-line name brand bowling balls to ones just right for beginners, from 6 to 16 pounds. We also offer on-the-spot fitting and drilling while you wait. Well known for Brunswick mainline equipment, in addition to our stock of Radical and DV8 bowling ball partners, we also have access to other name brands and manufacturers. Check out the variety of top line reconditioned bowling balls at 1/2 the cost of new. 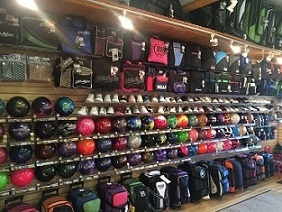 Our in-shop prices are very competitive with the prices you will find from online retailers once you add on drilling and overnight shipping to the cost of their bowling balls. Not to mention that you also have the benefit of having a local retailer in the Buffalo, NY area who will stand behind their products. 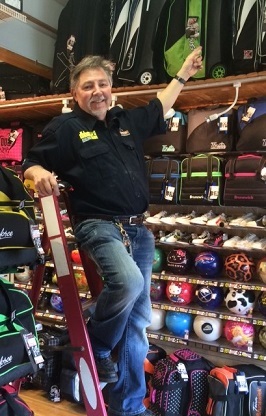 If we don't have any of the bowling products you need, Doug Heim's National Bowling Store can usually have it available to you as soon as possible. 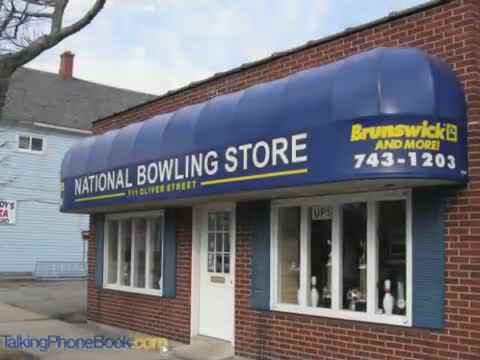 The Brunswick Bowling Store is open year round to service our USBC customer base nationwide. We have complete customer specifications that go back five years, and we can ship and drill balls for your convenience no matter where you call home. However, reconditioned balls are unfortunately not available. If you're confused, please feel free to reach out and ask an associate at our bowling pro shop for advice. We appreciate your business, and want you to be the best bowler you can be. We're the top bowling pro shop in Buffalo, NY for a reason. Whether you're a contender, a weekender or an enthusiast, we have all the bowling equipment that you'll ever need to succeed. We can fit you with the bowling ball that can take your game to the next level. Call or stop by Doug Heim's National Bowling Store today! The Doug Heim's National Bowling Store has it all. If you love bowling, then you'll love the selection at our store. From our quality bowling balls of all weights and types to our custom ball fitting and drilling, it doesn't get any better than the Doug Heim's National Bowling Store. For the price-conscious and the value hunters, we offer quality reconditioned and used bowling balls. We also offer a wide variety of accessories, like shoes, bags and more. Stop in today!